Coconut Day festival or Narali Purnima takes place in Maharasthra & Kerala. 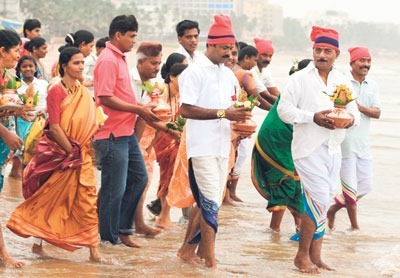 It is celebrated mostly by the fishing community who offer their prayers for their safety to the sun-god Varuna. On the full moon day of Sravan is celebrated the Narli Purnima to appease the fury of the Sea-god Narli Purnima. It also marks the end of monsoon, and is primarily observed by sailors, fishermen and others living in the coastal areas of South India.